This math teaching table will bring added bonus to your child's mealtime and provide excellent learning activity to practice basic math operation. 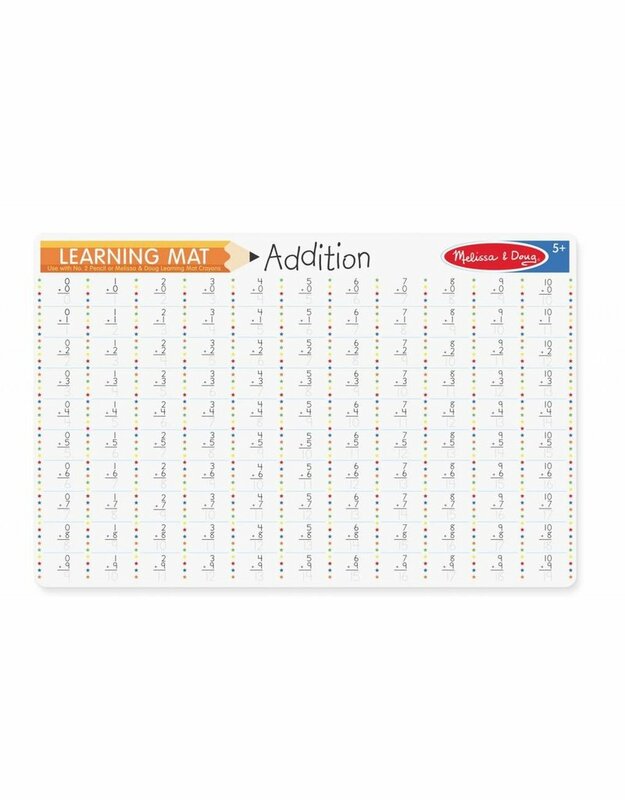 This learning mat features single addition practice, on a double sided, write on/wipe off place mat, practice adding numbers on this durable problem solving learning place mat. 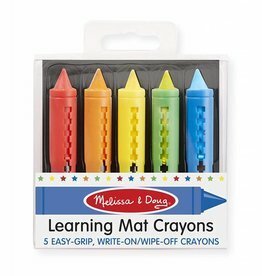 You can use the Melissa & Doug "Learning Mat Crayons" (sold separately) or use with No.2 pencils only. 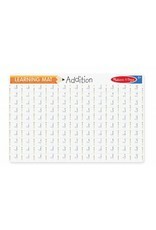 Please Note: NOT FOR USE with regular crayons, markers or dry-erase markers.